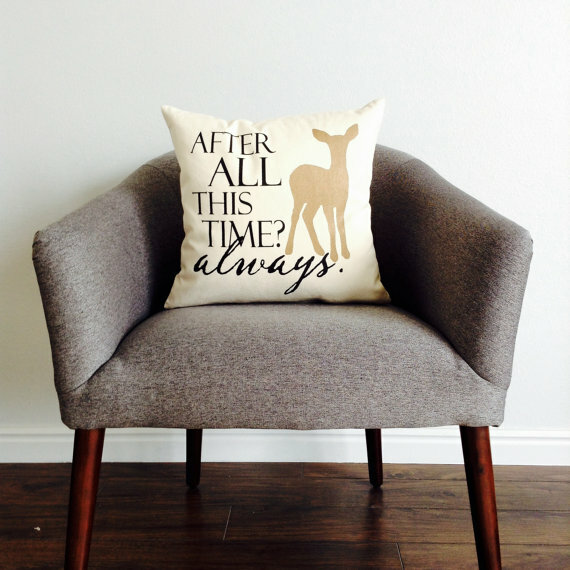 I was sitting here in my studio, looking out into the hall at the bookcase that holds all my favorite books, including the Harry Potter ones, and remembering that the Harry Potter books were the first books my son and I really bonded together with. I found the very first book in a little paper order thing they send home from school where you could buy books and thought this looks good. We read it together (with his sister) and kept on reading more and more (this was before HP was big here in the States). 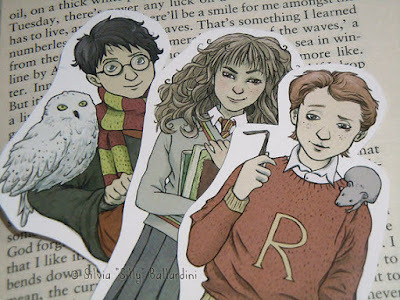 Then the movies started coming out and my son preferred to see the movie instead of reading the books, which made me kind of sad, but he was still into to Harry, so we shared the love through the movies. I hope one day he'll share that love with his own son. So I thought today's finds should be Potter related since that's what's on my mind. 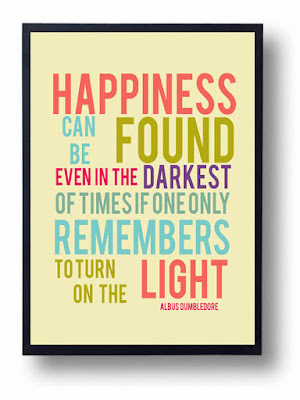 Absolutely my most favorite quote from the book. It still makes me tear up, especially after Alan Rickman's death. Amazing character bookmarks. I'm so in love with these! 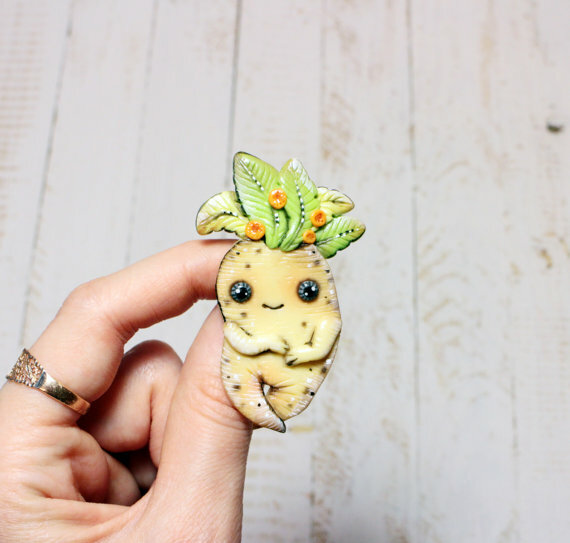 Adorable little Mandrake inspired pin. No shrieking is going on while you are wearing this, just super adorable sweetness. 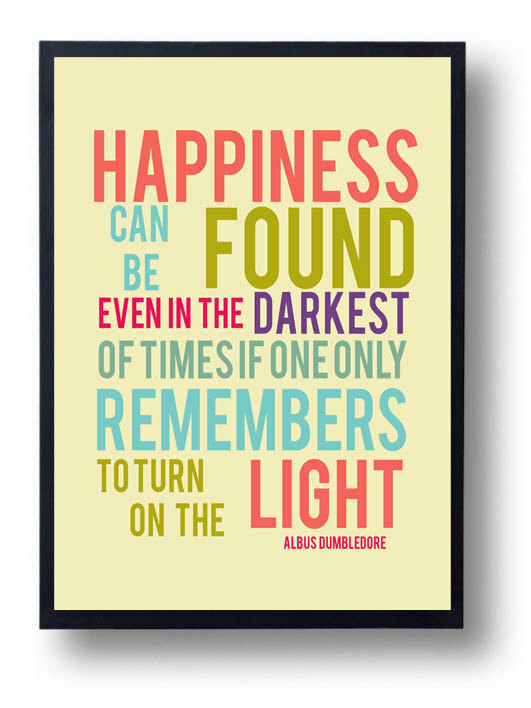 One of my favorite Dumbledore quotes on a great colorful print. 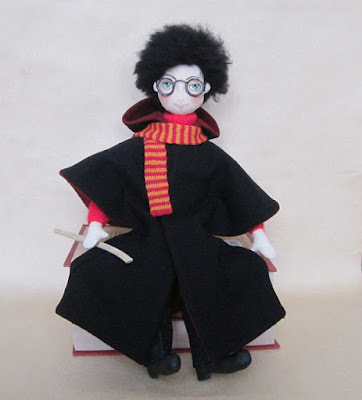 This is one of the best Harry Potter dolls I've seen in the handmade world. 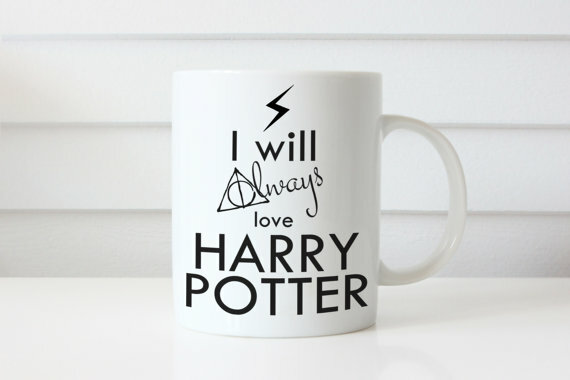 Well this mug pretty much says it all. I will ALWAYS love Harry Potter! I hope you enjoyed these picks as much as I enjoyed finding them! My sister, her husband and all my nieces are addicted to Harry Potter. The books and the movies. I hate to admit I haven't read them OR seen the movies. But I need to, I know. Thank you Cindi! The whole series is a must read but the movies are so well done and true to the books that it's a good substitute.